Preston North End defender Andy Boyle has joined Scottish Championship side Ross County on loan until the end of the season. The Irishman spent the first half of the season with Scottish Premiership strugglers Dundee, making 13 appearances and scoring one goal in a 2-0 win at Hamilton back in September. The 27-year-old will now be trying to help the table-topping Staggies return to the top tier at the first time of asking after relegation last season. There had been some interest from the League of Ireland with both former club Dundalk and Shamrock Rovers linked with a move for Boyle. But he has elected to stay north of the border for the remainder of the campaign and will be hoping to put himself in the shop window during his time in Dingwall. The move takes Boyle to the end of his North End contract, the one-cap Republic of Ireland international having joined with Daryl Horgan, now with Hibernian, from Dundalk in January 2017. The pair arrived in England having helped Dundalk to three League of Ireland titles and success in Europe where they reached the group stages of the Europa League. Boyle has struggled for game-time throughout his time in Lancashire however, playing half a season under Simon Grayson before Alex Neil’s arrival. Having arrived in January 2017 he had to wait until the following March for his debut in a 1-1 draw at Derby. 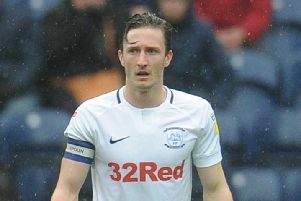 In total Boyle has made just 12 appearances in a North End shirt, five of those coming in the 18 months since Neil took charge at Deepdale. He also spent the second half of last season on loan at Doncaster Rovers in League One. Boyle could made his Staggies debut at Dunfermline on Saturday as they look to maintain top spot, currently sitting three points clear of second-place Ayr.